A range of contemporary three-bedroom townhouses, located just a mile from the future Crossrail station in Woolwich, is now available for sale at Trinity Walk by Lovell Homes. This milestone follows on from the successful off-plan launch of the apartments earlier this year with over 65% homes in the first two buildings released already sold; many through London Help to Buy. Trinity Walk is the first phase of a £400 million Trinity Woolwich regeneration scheme being created by development partners Lovell, asra Housing Group and The Royal Borough of Greenwich. Three ageing housing estates are being transformed into a desirable place for city living. Jonathan Goring, managing director at Lovell Homes, said: “It’s an exciting time to be building new homes in Woolwich. The development is shaping up at such a pace that we’re opening our first showhome later this month which will enable homebuyers to see first-hand the spacious rooms and high specification a home at Trinity Walk will include. Previously, our Virtual Reality (VR) ‘immersive dome’ has been instrumental in helping potential purchasers envision the new homes. 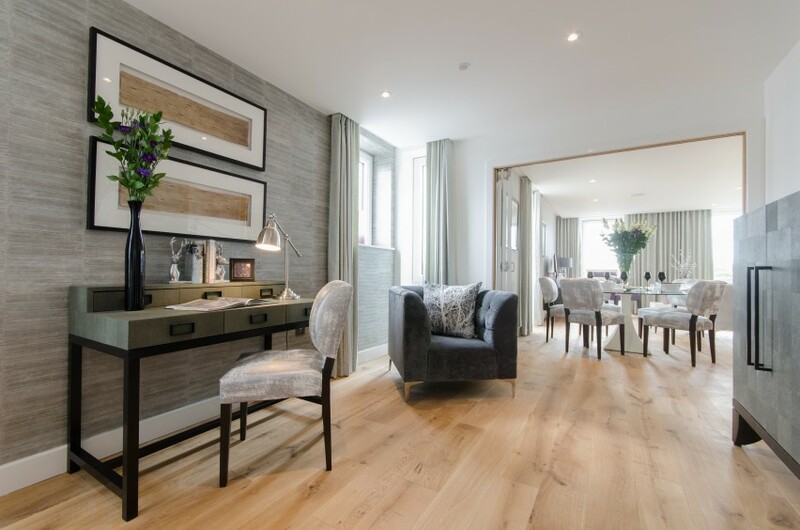 The development comprises one, two and three-bedroom apartments and a collection of three and four-bedroom townhouses, a selection will be wheelchair adapted; all completed to the same high-quality specification. The ongoing regeneration in Woolwich has already led to the delivery of new green areas, office space and amenities. The arrival of Crossrail in 2018 will provide quicker journeys into the centre of London; with 12 train services an hour, passengers from Woolwich will be able to reach Canary Wharf in eight minutes, Liverpool Street in 14 minutes and Bond Street in just 22 minutes. 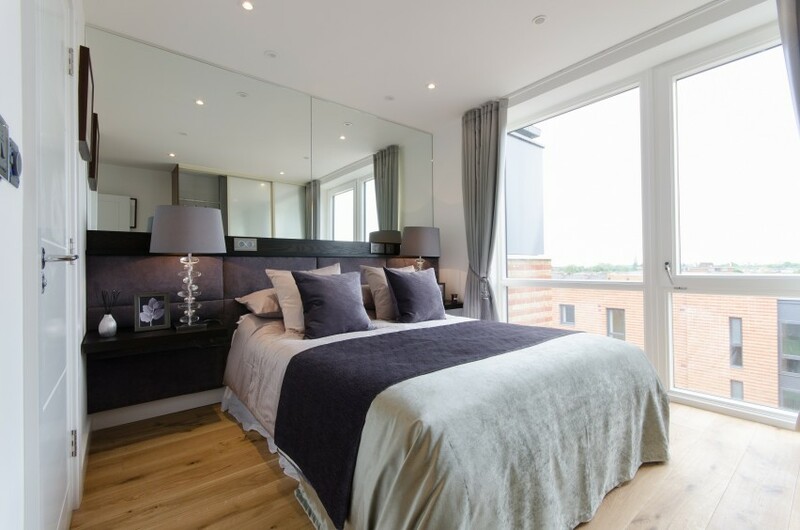 novative Virtual Reality show apartments, visit Lovell Homes’ sales and marketing suite off Brookhill Road (SE18 6UU), which is open seven days a week from 10am – 5pm. Customers can bring Trinity Walk to life on their mobile or tablet by downloading the Augmented Reality (AR) app on www.trinitywalk-woolwich.com. For all sales enquiries, please call Lovell Homes on 0203 247 4762. With the launch of Crossrail approaching, the average house price near the stations along the Elizabeth line have increased by an impressive 22 per cent in two years, according to research by Lloyds Bank*, tipping these areas as the newest property hotspots in the capital. Just a mile from the new station in Woolwich, South East London, is Trinity Walk, a contemporary collection of new apartments and townhouses by Lovell Homes, now available to purchase from just £330,000. In addition, an innovative ‘immersive dome’ with Virtual Reality (VR) recently opened at the marketing suite at Trinity Walk, to help homebuyers visualise the development long before a show home is built. 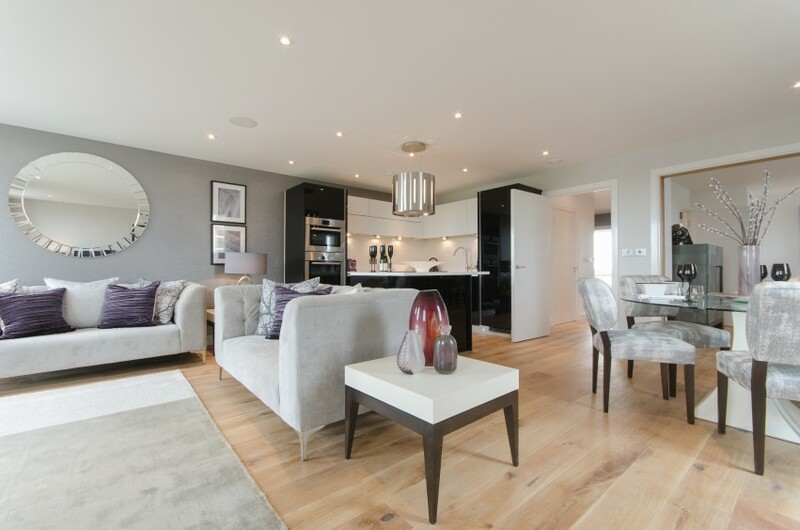 The new homes are part of the exciting £400 million Trinity Woolwich regeneration scheme. Development partners Lovell, asra Housing Group and The Royal Borough of Greenwich are transforming three ageing estates to create a desirable yet affordable place for city living. The development comprises one, two and three-bedroom apartments, and a collection of three and four-bedroom townhouses as well as a selection of wheelchair adaptable homes. Every home will be completed to the same high-quality specification, while the wheelchair adaptable homes will also benefit from an allocated parking space.